Sharjah: The UAE is a lucrative market for foreign investors, including Indians, given its high quality infrastructure and strategic geographic location, according to industry experts at the Sharjah Foreign Direct Investment (FDI) Forum on Thursday. 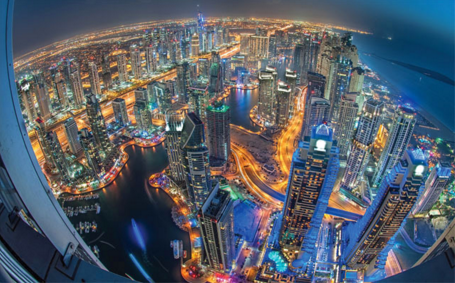 The UAE has a large Indian population, and is home to between 50,000 and 60,000 Indian companies. Opportunities for investments by Indians living in the UAE and Indian companies coming to the country are “tremendous,” said Paras Shahdadpuri, chairman of the Nikai Group of Companies. “India currently receives about $60 billion of FDI …[it] does about $20-30 billion of export FDI … our rough estimate is that Indians would have invested about $40-50 billion [in the UAE]. Besides this, in the past four years alone, Indians have been investing $5 billion every year in Dubai’s property market,” he said. The UAE’s FDI inflows reached $11 billion in 2015, and according to Shahdadpuri, has great potential to receive more FDIs. The UAE’s education, transportation, tourism and industrial sectors are attractive for Indian investments, according to Sudesh Aggarwal, chairman of the India Trade and Exhibition Centre. “Sharjah has become an educational hub … it is a strategically located place to do investment. It has two ports … so you can take advantage of this port situation,” he said. In the last 20 years, there has also been growing interest from Indian companies to set up manufacturing facilities in this region, said C.S. Raghavan, chief representative for the GCC (Gulf Cooperation Council), Middle East, and West Asia region at the Confederation of Indian Industry. “We are seeing a lot of manufacturing coming from the Indian side in terms of food processing, consumer products [and] garments,” he said.